Kijana Wajibika (Youth be Responsible) is an initiative, which builds a movement of youth between the ages of 15 – 35 both in and out of school, (disaggregated by gender, 50% males and 50% females), who are well informed on civic rights and actively engaged in political processes. The initiative uses our proven and successful youth-led, data-driven accountability model, which places young people at the centre of development and governance processes and provides a platform to empower youth and women in Tanzania to hold their government to account on their commitments, such as those made during the elections. The theory of change behind Kijana Wajibika, is that if we empower young people with knowledge, skills and networks, connect them to meaningful opportunities to participate, support them to curate official data and generate their own, then they will lead in driving accountability for commitments made by their leaders during the election period, the national development framework and Global Goals for sustainable development. The activity is planned to take 13 field days inclusive of travel days. Tentatively from 4th March 2019 to 15th March 2019 and the training report to be submitted within 14 working days after completion of field activities. For more detailed information please download the Terms of Reference at the end of this advert. 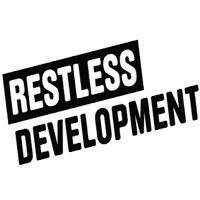 Interested candidates should send their submission of interest to jobstanzania@restlessdevelopment.org by 16th February 2019.